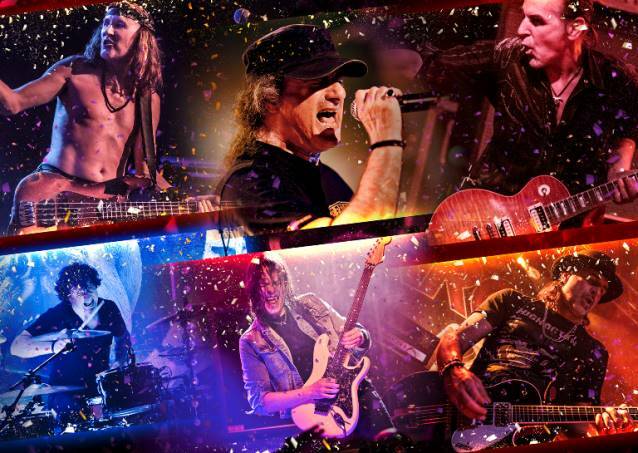 In the last four decades, Swiss hard rock legends KROKUS have played over 2,000 shows across 5 continents. Every gig, every place and every crowd was different but all showed tremendous enthusiasm towards the band. 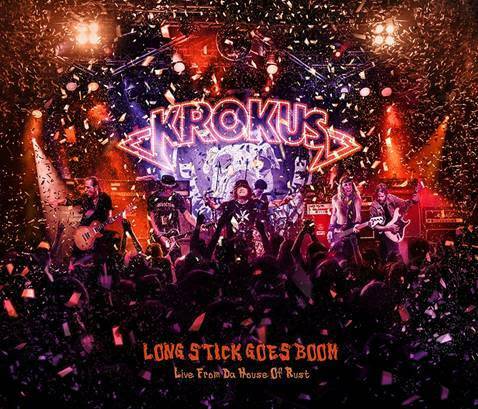 KROKUS recorded 20 shows for release consideration, eventually deciding on their last sold-out show, recorded in their hometown at the House Of Rust on August 30, 2013. "Long Stick Goes Boom Live: From Da House Of Rust" will be released in North America on April 22 via The End Records. An ecstatic audience and a killer location, for KROKUS it was a truly memorable moment - it was the night where Krok 'n' Roll came back to town — to Rockcity Solothurn where it all started in 1975. "We're extremely happy to share this moment with all of you. This proves that there is still a place for the eternal flame of rock 'n' roll — our medicine of life," the band says in a statement. "A hell of a big 'Thank You' for your constant support and appreciation. This is the fuel we need to go the extra mile. Enjoy and spread the word!" The "Screaming In The Night" performance, taken from "Long Stick Goes Boom: Live From Da House Of Rust", can be streamed in the YouTube clip below. Comments KROKUS singer Marc Storace: "'Screaming in the Night' is a fantasy story inspired by ancient myths and legends. It is a story about a warrior who is held captive by this barbaric tribe. He escapes and makes it back home but soon returns with his whole clan to rescue their beloved ones who are still being held captive. They deliver a successful surprise attack but his woman is murdered in the turmoil!" Adds KROKUS bassist, founder and producer Chris Von Rohr: "This is the all time ballad of KROKUS with a 'Conan The Barbarian' touch! We were one of the first of the MTV video generation and that video was played regularly. Greatest hit in the USA by far!" You can pre-order exclusive "Long Stick Goes Boom: Live From Da House Of Rust" bundle packages now at this location. For almost 40 years now, KROKUS has stood for high-quality, honest-to-goodness, hand-made power rock. No other Swiss rock band sells albums and its back catalogue worldwide like KROKUS. The band has already sold over 14 million records, toured the world, and received gold and platinum discs in the USA and Canada. The milestones in their rock career are dotted around the world: from Australia and the USA to Mexico, Russia, Japan, and China.